The following information is being sent to you was written by a well respected Genetic Genealogist. This article is a result of other genealogists raising concerns about the new DNA testing being offered by an application on Facebook. Most of you may not deal with Facebook nor MySpace, but many, many genealogists are beginning to network using these. 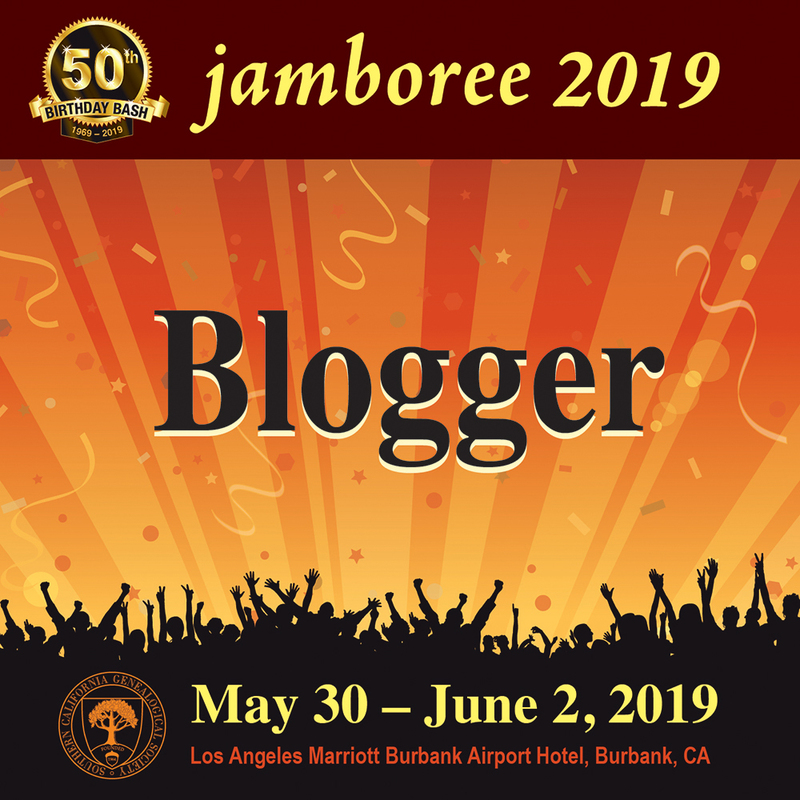 I am on Facebook, and there are hundreds of genealogists and many, many Genetic Genealogists there. As DNA is becoming a huge household word, many people are trying to cash in on selling DNA testing to the public. This, in most cases, is quite harmful to the companies which are reputable since these upstart companies are often not organized, do not understand both genealogy and DNA, and do not offer any quailty service. Some even charge for you to see their databases, and this when you are paying them to test! This low level of quality in service will make finding new testers a problem as over time people will become disgruntled if they buy from such places only to learn later they were fooled in some way. These types of companies are taking advantage of people, and I urge all of you to caution others to do their homework and go with only reliable, long-standing companies. Although the info below pertains to just one company, there are several others which do not have good organization or good service. We are now receiving complaints on these companies. One main one is Ancestry.com. Complaints are from Administrators of various surname projects as well as from testers. Please educate people you know not to use companies who do not have their websites well organized for the conusmer, who do not provide good service or who are not in the DNA business with a real focus on genealogy. You want a company with a long-standing POSITIVE reputation. One that provides enough services that you can further your genealogy without paying more. One that will answer your questions. One that will be here in the future. Free and cheap are not always best. Remember: "You get what you pay for." My friend Rebekah wrote the following and gave permission for it to be used here and anywhere else it is needed to help. If you are an Administrator of any project, please forward it to your members. The following includes quotes directly from the company's email to her in response to her inquiry. In the past Familybulider has been the provider of family tree software for networking websites such as Facebook. Ordinarily, I would say that competition is healthy for any industry. This company plans to operate though at a standard below that of any of the companies already out there. They do not plan to make money only by selling you a test and service but by selling their database built with users' DNA. "We may also sell, rent or otherwise disclose the anonymized DNA analyses of our customers and any related anonymized studies to third parties." We work in an environment where we are already have to gain the confidence of leery relatives. I think that this blatant abuse of trust is the last thing that we need. Please read the privacy policies of any company carefully. Let your friends and relatives know that they should test at a company that is responsible and sells DNA services and not their users. As I have previously stated, DNA testing for genealogy is NOT useful to insurance companies or government agencies. The portions of the genome used for genealogy cannot pin-point a certain person, and they do NOT contain your health issues. Law enforcement agencies obtain DNA at a crime scene and test only a specific set of markers to compare against their database. Both SMG And CODIS are databases for the criminal justice system. SGM is an acronym for Second Generation Multiplex for a commercial multiplex kit (multiple markers can be tested in the same reaction) and is widely used in European countries. CODIS is an acronym for Combined DNA Index System and is used in the U.S. It combines several databases, with DNA profiles for convicted criminals, biological evidence in unsolved cases, and missing persons. The SGM Plus test uses 10 autosomal Short Tandem Repeat (STR) markers where as CODIS uses 13 markers. Eight markers overlap. NOTE: Short Tandem Repeat (STR) is a short pattern of the four chemical bases (Adenine, Cytosine, Thymine and Guanine) in the DNA that repeats itself, side by side for each marker. The number of times they repeat is the test results (called the allele) for that particular marker. That is, if you test your Ydna and on marker DYS 393 and you have the result of 13, then a particular pattern of the four basic chemicals in your DNA has repeated this pattern 13 times. This type of results helps to compare different testers. The purpose of both SMG and CODIS is to identify an individual unambiguously based on probabilities. The odds are billions against finding that any two individuals would have exactly the same DNA. The odds are exactly the same CODIS or SGM profile. A single mismatch on any of the compared markers means you do not have the same person represented in your reference sample. In some cases, it is impossible to do conventional PCR (Polymerase Chain Reaction, a process to amplify the DNA in order to obtain results.) analysis where there is a mixture of male and female DNA in sexual assault crimes. The only DNA that can be uniquely identified and separated is the Y-chromosome. In such cases, STR markers are used, and it is not possible to uniquely identify a person, but it is possible to narrow down the population of potential suspects. The DNA is chemically chopped up into chemically-defined fragments using the PCR techniques. In analogy, suppose you had a long piece of tickertape with random numbers on it and you cut the tape every time you saw the number 43. In the end you'd wind up with a pile of scraps of tickertape of different lengths. Each DNA fragment length you obtain from chopping up the DNA upon analysis appears as a dark line in the long sheet of X-ray film (autorad) you see in detective stories on TV. The position and intensity of the lines created by your unknown DNA are compared to the position and intensity of lines created by the DNA in the known sample. If the two sets of lines match, the two sets of fragments match, the two kinds of DNA match, and you have your criminal. The DNA analysis used for genetic genealogy uses only very small segments (short tandem repeat or STR markers) occurring on the Y-chromosome only. They are the same type but not necessarily the same markers as those used by CODIS. In either case you wind up analyzing only a few hundred or, at the most, a couple of thousand bits in the genome. The analysis is based on the lengths of those markers again, but defined differently. They are defined not according to where "43" might appear on the tickertape. They are defined according to where certain chemical motifs are repeated X number of times. In analogy, these markers would be defined by the tickertape again, but you would only be interested in how many times 43 is repeated at a certain position on the tape. Ysearch is only one of the public DNA databases for genetic genealogy. Although the criminal justice system can access it or any of the others, doing surveillance on a surname group to see which one of the Smiths or Joneses committed the crime would be so time consuming and expensive that it would not be worth it. By the time law enforcement gets this far in an investigation, they probably have a list of suspects. If one of them is named Smith or Jones, they will be under surveillance and they might be arrested…but not the whole group. If you are planning to rob a bank or commit some other crime, DNA is only one way you can get caught. More likely you will be caught because your fingerprints match those in the FBI database. But no one worries about that. Colleen Fitzpatrick was instrumental in providing the above analogies. Much of the general public may tend to be fearful of new advances in technology when it comes to something as personal as our own DNA. With the advent of George Orwell’s book 1984, many people may not trust the government or some of their agencies with such intimate information. It is the duty of the Genetic Genealogist to understand DNA testing and to help alleviate those fears. Often you may find people who have concerns about DNA Testing. They feel that the world will know more about them than they do about themselves. They are concerned that doctors and insurance companies and possibly employers will use the result of the test against them, perhaps forbidden coverage or restricting them from being hired. Others may be concerned that our government may use the results against them, especially in the criminal justice system. In order to get a relative to test, you must alleviate their fears. With knowledge and understanding, you can at least mitigate their reservations and explain how testing for genealogy is not harmful. The most important piece of information is to know and understand that your DNA signature (haplotype) which is used for genealogical purposes is not just yours. If you are a male, the test results is either an exact match or it is extremely similar to all the males in your all male line (top line of a pedigree chart). For the case of your mitochondrial DNA (female DNA), an exact match would be for all the females in your all female line (bottom line of the pedigree chart) for thousands or tens of thousands of years. For example: You and your full-blooded brothers would have the same results on the tests used for genealogical purposes in both the Ydna and the mtDNA. You, your brothers, your father, paternal grandfathers, paternal uncles and cousins on your all male line would have the same DNA signature (haplogroup). There could be minor mutations with some of these relatives, but not all. Therefore, it is impossible for anyone to determine that a specific haplotype is really yours…you share it with others. Women are the same as they share their haplotype with their sisters, brothers (mtDNA only), mothers, grandmothers…all the women in their all female line. Someone approached me wanting to know if they could test Ydna to determine if two men were the father of a child. This can be done easily unless, those fathers are related on an all male line. In this case, they were; they were a father and son, each impregnating the same woman and each producing a child. Those children would have the same Ydna and mtDNA results. ONLY in the rare case that the son had a mutation that the father did not have could anyone determine whose son was whose. So each person does not have their own particular DNA signature when it comes to testing for genealogy. Some testing companies keep your DNA sample for a certain number of years while others destroy it after they determine the results. The reason for maintaining the sample is so the owner of the DNA can request other testing. However, anyone can ask that the company destroy their sample at any time. Testing companies take your name, but when they send the sample to the lab for testing, you are only a number. Testing companies uphold your privacy as any leaks of data would put those companies out of business rapidly. There are networks of Genetic Genealogists who would see to this. The type of DNA data an insurance company needs is not available from the markers used for testing in the field of genealogy. Insurance companies need the autosomal DNA (atDNA) as it contains your health issues. Genealogy research does not want the atDNA as it is too inconsistent to help with research. Autosomal DNA re-combines with every conception so you and your sibling would have different atDNA unless you were identical twins. An insurance company’s source would be through a doctor, and the tests would need to be conducted by the medical industry. For these reasons, an insurance company would not access Genetic Genealogy company’s databases, even if they could. In 2008 Congress, passed GINA (Genetic Information and Non-Discrimination Act) which is now a law protecting the public from discrimination by insurance companies and employers. (For more information on this bill becoming a law see the GINA post on this blog.) The law states that as a result of a DNA test an insurance company or an employer cannot take action against a person. Again, this DNA testing would be through the medical services. However, it is nice to know that if you have a health issue that arises later, you are protected. Some people fear that the justice system will obtain their DNA and use it against them. The system the justice department uses is CODIS (Combined DNA Indexing System) and is a system of genetic profiling. The markers used for genealogy are not the same ones used for CODIS, although a few may overlap. However, the way the government tests the marker is completely different than how labs doing genealogical work test them. Therefore, the result would never turn out the same. The first step in testing and in finding potential testers is to educate them and alleviate their concerns. Coming Blogs will give you more information on CODIS and provide some successfully used ideas on how to contact potential testers. There are four types of DNA tests, but only first two listed here really helps with genealogy. The third one helps with one’s more ancient ancestry, if your interest lies there. The last is too unpredictable to be a good indicator of genealogical relationships. 2. Mitochondrial DNA (mtDNA). This test can help trace maternal lines – mother to daughter to granddaughter and can be used for genealogical purposes through careful research. It requires good genealogy research and the location of qualified female descendents for success. Mitochondrial DNA can determine or exclude African & Native American ancestry. It is much more useful anthropologically. Successes, when they happen, are huge! This testing can associate men or women to one of the "daughters of Eve"
3. Single Nucleotide Polymorphism (SNP). A Variation that occurs when a single nucleotide (A,T,C,or G) in the genome sequence is altered. It occurs in both Ydna and mtDNA and happens only once for the particular marker. SNPs are used to categorize haplotypes for Phylogenetic Trees. 4. Autosomal DNA (atDNA). This type of markers is in the coding or Re-combining region of the genome. It is the random combination of all genetic information passed down to us from all our blood-line ancestors. At conception we received genetic data from both of our parents and it recombines to be the unique you that you are. This type of DNA determines our unique identity and appearance and makes us similar to our parents and siblings. This type of testing is used for the typical paternity tests and individual identity tests in forensic testing (Combined DNA Index System or CODIS). ........It does not aid genealogy research since there is no continuity over time. Testing results given in percentages for some ethnic groups. Connecting to an African or Native American tribe is based on the size of a company’s database which changes regularly. Databases change over time, thus so does the results based on autosomal testing. That is to say, if you tested your autosomal markers to determine what percentage of what ethnic group you are, because these markers recombine with every conception, your sibling would have different percentages quite often. Because of the sizes of the database, if you tested now and tested again in five or so years, your percentages would be different as might be the particular tribe some companies feel they can attribute to your markers. In time when the databases are much larger and the paper trails are more accurate as to which tribes are connected with specific DNA results, Autosomal testing will be more accurate than it is now, but not as accurate in predicting solid information as either the Ydna, the mtDNA, or the SNP. Who can test and how? How can other lines of my lineage be tested? For more information on DNA Testing and explanations of all the terms, consult the following tutorials and books. There many more books and online resources, but these are the most understandable by the novice. The books below can be found for under $10. Some may be in your library. For some other excellent books, please see the list on this Blog. 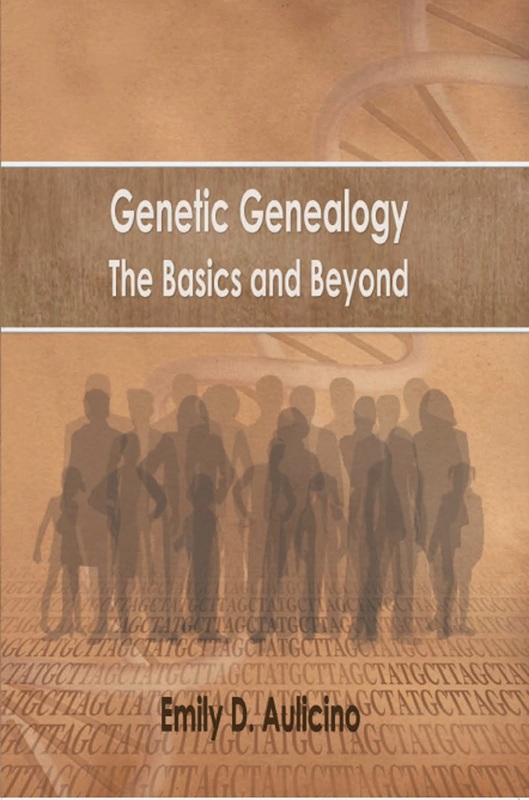 Without understanding how DNA helps genealogy well, it may be difficult to pick the goal and proper test to help you solve your genealogy problem, so it is very important to read as much as you can on the subject and consult people who do understand it. There are many books listed on this site and you also have the option of contacting me. Although the learning curve is steep in the beginning, you can learn enough about testing to benefit from it. It does get easier over time and with repeated doses. 1. Narrow down a question you are trying to answer. ..........Which line do you wish to test? ..........Are you interested in results that tell you about your most ancient ancestry or something within genealogical time? ..........Are you looking for a biological father? ..........Do you wish to know which other persons with your surname are related? ..........Do you wish to find cousins to help research the lineage? ..........Are you trying to prove or disprove a connection to a famous or infamous person? ..........What is my ethnic heritage? 2. Finding the person you need for the test. In genealogy we always start with ourselves and work methodically backwards for each generation, gleaning all we can before proceeding backward to the next set of grandparents. In Genetic Genealogy we do the opposite. The term is “reverse genealogy.” We start with the person whose DNA we wish to target. For example, your great, great, grandfather. In this case we can only test his all male line so we locate the records we need to bring each male line to the present. Work on all the males at the same time as some may “daughter out.” That is, there are only daughters born in one generation so the surname doesn’t continue with that branch of the family. Bring as many males to the present on an all male line from the targeted great, great, grandfather. To check this work, put the living male as number one on a pedigree chart and see if the top line of the chart goes back to the targeted person…that great, great, grandfather. Once you have found a living male on the line you need, then check the online phone books or other resources to find a phone number or address and contact that person. Of course, if that person will not test or is no longer living you then have the other males you researched. Also, you can ask about sons of your possible tester or nephews or cousins on the all male line. The same strategy is used for the all female line, the bottom line of a pedigree chart. 3. Select the people to test based on the question. For example, you may wish to know if the Tennessee Talley families are related to the North Carolina Talley families. To answer this question with DNA testing, you would then need to select several male Talley descendants from each of the lines and compare the results of their DNA tests. A match would prove that the two lines descend from a common ancestor, though would not be able to determine which ancestor. The common ancestor could be their father, or it could be a male from over a thousand years ago. This common ancestor can be further narrowed down by testing additional people and/or additional markers. 4. Convince the person you need to take a DNA test. This is a good mantra. Much of the public is still very skeptical about their DNA being in the public eye….some times, they seem more concerned about that than their credit card information! I will speak to this in more depth later, but for now, just get to know the person on a genealogical level. 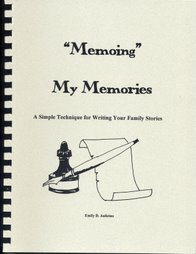 Ask if they know whether or not your lines are related and if there is a family genealogist. Although genealogists have a varying degree of comfort on the idea of DNA testing, they may tend to understand more easily than just a man off the street. Take nothing for granted, however. Anyone who doesn’t really understand the difference between testing for genealogy, testing for your medical doctor or testing for the criminal justice system isn’t a person likely to test. You may have to first educate yourself; then educate your tester. Understanding the Benefits of DNA Testing for Genealogy - Part 1: Why Should You Test Your DNA? 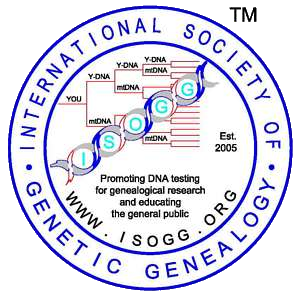 Understanding the Benefits of DNA Testing for Genealogy is a series of three articles designed to help the genealogist use DNA testing to their benefit. Part 1: Why Should You Test Your DNA? Many genealogists feel that they have excellent documentation for their lineage and no doubt many do and it is possibly very accurate. However, one never knows until you test your lines using DNA. DNA is the most accurate tool a genealogist has and unlike paper sources it does not lead you down the wrong path with inadvertent errors. I often tell the story of my Ogan line from Frederick County, Virginia in the mid 1700s. My Peter and Euphemia Ogan were the only family by that surname in the county until one day just before moving to Belmont County, Ohio just after the turn of the century there appeared in the tax records a Samuel Ogan. Now, Samuel was Euphemia’s step-father’s name, and it is common knowledge that when a person becomes of age they are listed on the tax rolls…so this was my assumption: Samuel was very possibly a son of Peter and Euphemia. I began tracing his line in Ohio and found that he had grandchildren named Peter and Euphemia, as did my Peter and Euphemia. Descendants of both families landed in Indiana in later years, although not the same county. I hired a good researcher to glean what she could from areas in both Ohio and Indiana. Hundreds of dollars later I had acquired news articles on the family, deeds, and even a digitalized photo album of descendants. I was in the process of writing a book on all my Ogans, bringing their lines down to at least the 1900s. Elizabeth Shown Mill’s book Evidence! assured me that I could be confident in my work, although circumstantial…it was strong circumstantial evidence. BUT, that was before DNA testing. After DNA testing arrived on the scene a few years later, I found a male candidate for both my line and Samuel’s. The test results were very far from matching. Hundreds of dollars and many, many hours were wasted. Samuel was not related! I have since learned my lesson…DNA test first where possible! However, I hold out some hope as I am searching for another descendant of Samuel that would be a distant cousin to the first tester. My line has been repeatedly tested so I am confident in the test results for Peter, but it is still possible that the person who tested for Samuel had what is called an NPE (Non-Parental Event) in his line. That is to say, there was a known or unknown adoption or illegitimate son along the line. This would explain the vast difference in the testing result if a new tester matches the results of my Peter. I have several months before my book will be near completion, so there is time to find another tester so I can safely include or exclude this line and distribute my boxes and boxes of data for Samuel to some worthy descendant. Paper sources are inaccurate or missing. Living in a census household with the same surname is not proof of a relationship. Letters or deeds calling someone a brother is not proof of a relationship. Adoptions and illegitimate children are not always recorded in written or oral history and have happened for thousands of years. Since the days of the caveman, families have taken in orphaned children and it is still done in modern times without being recorded. Name changes are not recorded. Ancestor had to leave the country/state to escape from the law or ancestor wished to distinguish himself and his descendants with a variation of his surname. I have personal stories and the DNA to back up everyone of these categories. 1. Link specific individuals - e.g. 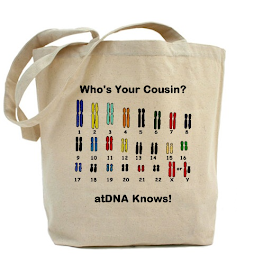 test to see whether you and a person you think may be a cousin descend from a common ancestor. 2. Prove or disprove the ancestry of people sharing the same last name - e.g. test to see if males carrying the surname are related to each other. 3. Prove or disprove oral history of descending from a famous or infamous person. 5. Prove or disprove you paper trail. 6. Map the genetic origins of large population groups - e.g. test to see whether you have European or African American ancestry. Once you understand how genetic testing can help you with your genealogy, you can formulate your goals for testing and determine which test will help you reach that goal. These topics will continue this series with Part 2: Setting DNA Testing Goals.